Being registered to the National Register of Waste Managers, Co.A.P. can provide you with transport services for the disposal and recovery of hazardous and special waste. 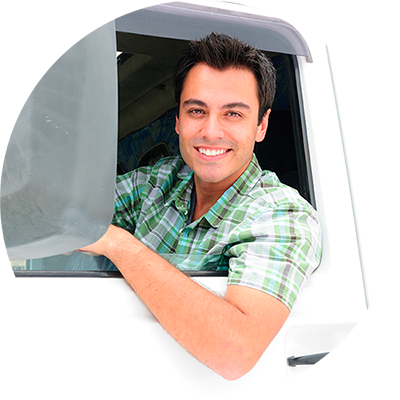 This is a plus, that together with our standard transport service, makes up our offer. Co.A.P. also provides a container traction service, using vehicles which are suitable for this job and employing experienced drivers. Lately, Co.A.P. has specialized in transporting exhibition and stand materials, guaranteeing high performance and accuracy during loading and unloading operations. This service is available on both national and international territory. We are constantly looking for reliable partners to work with, in order to accomplish a more comprehensive, efficient transport service. If you are interested in becoming one of our partners or would like to have more information about it, you can contact us directly by filling the specific form. Punctuality, professionalism and high quality are our strengths. We always make sure to choose the suitable equipment and vehicle for your loads and monitor the cargo thanks to our advanced GPS system. Thanks to our freight managers, you can have timely, accurate information regarding collection, transit and delivery. We mainly operate in Northern and Central Italy and in several European countries. Satisfying our clients has always been our priority. The quality of our service is checked and guaranteed by external institutions according to ISO 9001 and ISO 9002 international standards which are yearly renewed. Co.A.P. provides its customers with high-efficient services and helps them throughout all the stages of transport: from quotation to freight management and assistance once the transport has been completed. We are committed to satisfy our customers’ requests paying extra care to the quality and accuracy of our transport and logistics services. We pursue excellence in everything we do and are driven by the willingness of constant improvement. You can sleep tight with us! The National Register of Waste Managers is ruled by art. 212 of D.Lgs. 152/2006 and by D.M. 120 of 2014. Co.A.P. is efficiently registered for the handling and transport of urban, special, hazardous and non-hazardous waste. On our website you will find all the documents which confirm such registration. You can also check, thanks to our search engine, all the vehicles that build up our fleet and their authorization to operate in this field. Join our fleet becoming an Associated Member or Partner. You can send us your shipment requests at any time by filling out the form on the side. Our sales office will respond within the next 24 hours.